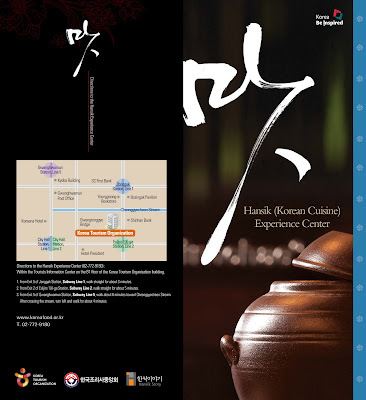 Korea Tourism Organization (KTO) invites all visitors to Korea for a real Hansik or Korean food experience, at the newly opened Hansik Experience Center at the Tourist Information Centre (TIC) at the KTO headquarter building in downtown Seoul. Visit the Hansik Experience Center for free Hansik Sampling, or savor your taste bud with scrumptious Korean cuisine with a Deluxe Hansik Meal. 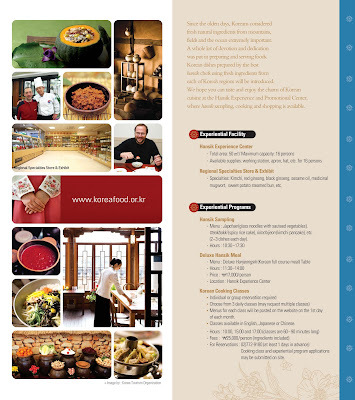 For those who opt for more secret recipe of the delectable cuisine, you may also sign up for the Korean Cooking Classes, available daily in English, Japanese or Chinese. 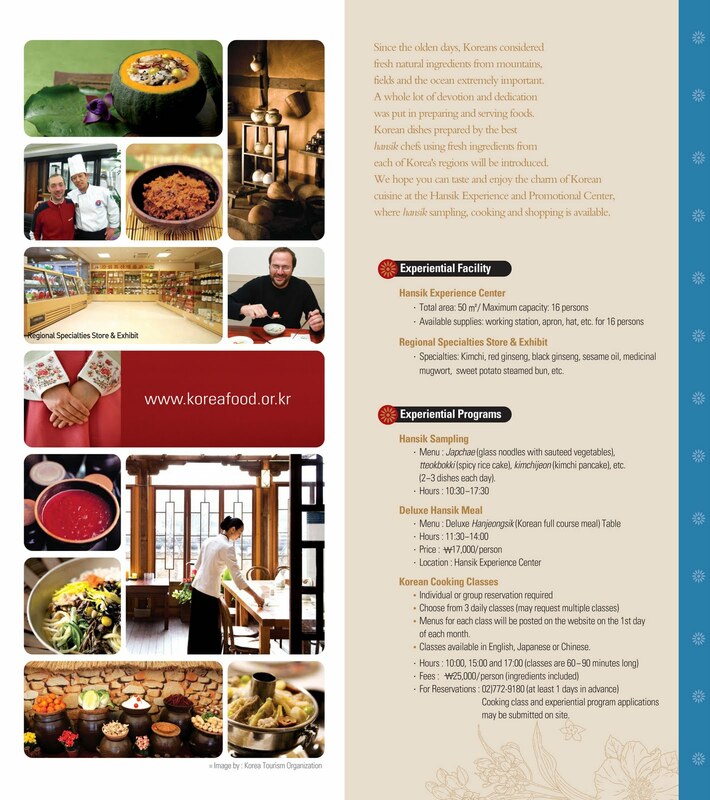 Visit www.visitkorea.or.kr or www.koreafood.or.kr for more information. Korea Plaza KL is offering free monthly Korean Cooking Class (halal) to the Korean food lovers in Malaysia. Conducted on every second and/or fourth Tuesday of the month, from 2-4pm at Korea Plaza, 2-3 dishes are taught in each class by our Korean chef in English. Exclusive classes for group visits on Saturdays can also be arranged upon request. Korea Plaza has been established by KTO Kuala Lumpur Office in November 2008, as your only one-stop Korea tourism and culture centre in Malaysia. Korean Cultural Classes including Korean Language Class and Korea Beauty Workshop and Kpop Dancing Class are offered free-of-charge to the public. Find out more and sign up now at www.visitkorea.com.my for your first Korean Cooking Class and get drizzled by the tantalizing bibimbap, japchae, kimchicheon, samgyetang, tteokbokki and many more. 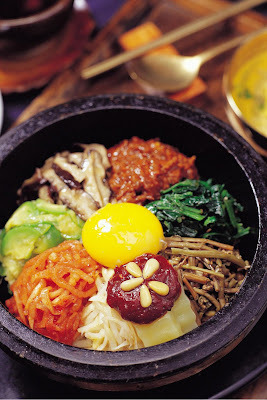 * kepada peminat fanatic Korean food don't miss this big opportunity. Hi Sugeng thanks much for your comment and compliments. I would love to have a cooking class in Korea. The food looks amazing. It is making me hungry thinking about it. I hope one day very soon to visit and cook! Sharlot.....I wish you were here too....to enjoy the cooking class. Indeed.wish you all the best.